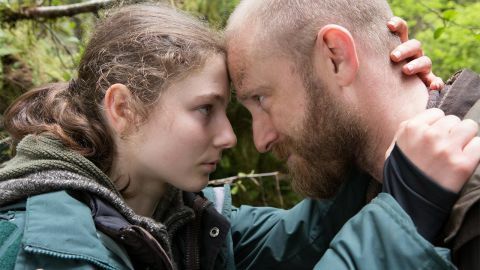 Leave No Trace review: "A subtle, assured, and often powerful tale"
Foster and McKenzie thoroughly convince in the hands of Granik, who moulds a subtle, assured, and often powerful tale. Winter’s Bone director Debra Granik’s latest feature is a deceptively simple work – and all the better for it. A father-daughter tale, it’s adapted from Peter Rock’s 2009 book My Abandonment, which itself was inspired by a true story. Ben Foster plays Will, a war veteran living with his daughter Tom (Thomasin McKenzie) on public ground near Portland, Oregon, in America’s Pacific Northwest. Granik clearly has no wish to turn Leave No Trace into a schmaltzy tale of Will versus the state in a battle for his daughter’s care. This isn’t that movie at all. Indeed, the social worker (Dana Millican) assigned to their case is sympathetic to their situation, despite the obvious need to house Tom in a place where she has the chance to interact with other children her own age. After a kindly offer, Tom and Will are even set up in their own home. “We’ll make the best of it,” he mutters. The obvious comparison is with Matt Ross’ Captain Fantastic, which also dealt with alternative lifestyles and raising children away from consumer culture. Tom may not have the political education given to Viggo Mortensen’s kids in Ross’ film, but she is similarly both resourceful and naïve. Even the chance to play with a pet rabbitor a couple of toy horses leaves her wide-eyed with appreciation. A better parallel, however, might be Granik’s own Winter’s Bone, which also showed a keen eye for characters living on the fringes. Led by Foster’s quietly powerful depiction of a “restless” PTSD sufferer, who starts to feel the walls closing in when his domestic set-up changes, this is a film strongly invested in those marginalised by society. But at its core is a moving parent-child story, made more potent because of how much Will clearly loves Tom. As the dutiful daughter who gradually comes of age, New Zealand-born actress McKenzie (who featured in The Hobbit: The Battle of the Five Armies) delivers a powerful turn, one worthy of comparison with Jennifer Lawrence’s Oscar-nommed breakout in Winter’s Bone. If Leave No Trace doesn’t quite get the pulse racing like that film, it certainly gets the tears welling in a finale that’s little short of devastating.